A delightful 19th Century former manse set in pretty and secluded surroundings is on the market with CKD Galbraith. The Old Manse at Killearnan is located on the Black Isle in a delightful rural location but within a 15 minute drive from the city of Inverness. The private grounds extend to approximately two acres with the mature native woodland offering a perfect backdrop and exceptional privacy. Believed to date from 1847, The Old Manse has been sympathetically renovated and improved over the last 20 years by the current owners. 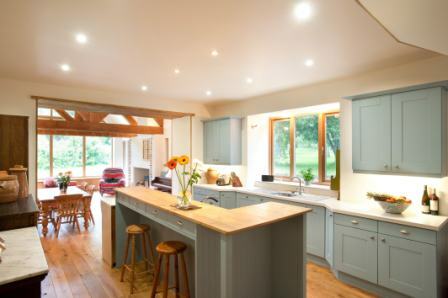 An impressive architecturally designed kitchen and sitting room extension is the focal point of the house. 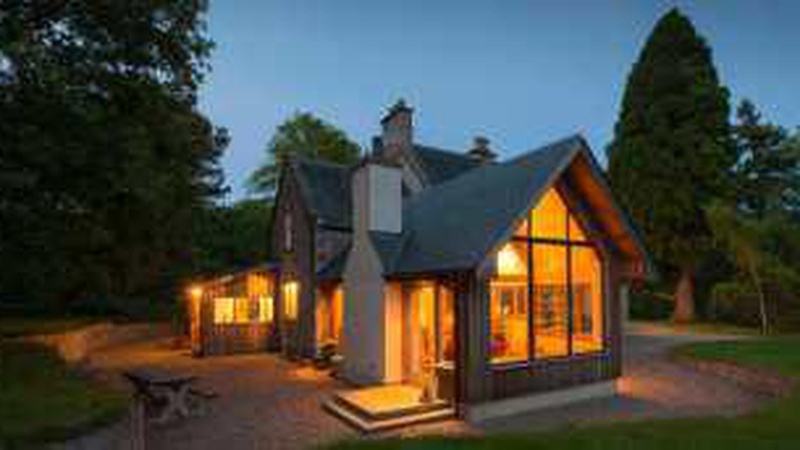 With a stylish, contemporary stone, timber and glass exterior, this is a bright and spacious room blending well with the formality of the traditional manse and offering stylish family living. 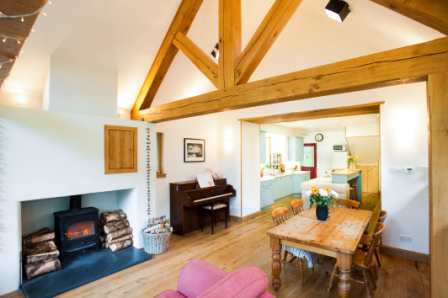 The beautiful fitted kitchen leads to the sitting and dining area centred on a wood burning stove and with French oak beams, floor to ceiling windows and the quirky addition of a port cupboard above the stove to allow the port to warm gently to be ready to drink after dinner! The property offers generous accommodation with four public rooms and four large bedrooms, many retaining original features including fireplaces with mantelpieces and ornate cornicing throughout. There has also been outline planning consent granted for the construction of a one and a half story house within the grounds which would offer the ideal opportunity to build additional accommodation for a growing family as a granny flat or for visiting guests. Phiddy Robertson, who is handling the sale of The Old Manse for CKD Galbraith, said: "The Old Manse is a sunning traditional family house with delightful grounds. The property offers the discerning purchaser an opportunity to acquire a fantastic and affordable family house in a scenic Inverness location. 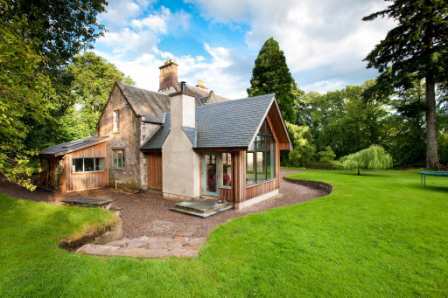 "The delightful grounds at The Old Manse add to the appeal of this property, with views over the Black Isle and set against a backdrop of mature native woodland, home to an abundance of wildlife including roe deer, red squirrels, woodpeckers and red kites. With a recent price drop this property is even more appealing and is an excellent opportunity to purchase a fantastic family residence." The Black Isle offers an abundance of outdoor, recreational and cultural activities for all ages, including golf, sailing, mountain climbing and world class shooting, fishing and stalking. Education is well catered for and the property is located within the catchment area for the popular Fortrose Academy. The Old Manse is now on the market at a guide price of 420,000.